Celtic manager Brendan Rodgers has dismissed the possibility of succeeding Arsene Wenger as the next Arsenal head coach. Wenger, 68, announced on Friday that he would be quitting the Gunners during the summer and this is expected to end his 22-year association with the club. 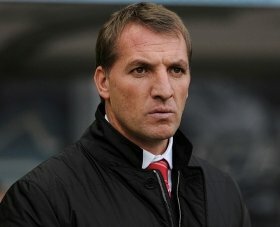 Rodgers has since been one of the top candidates linked with the managerial vacancy but the ex-Liverpool manager has stressed that he is content with his role at Parkhead. In a report covered by BBC Sport, he said: "Arsenal is a fantastic club, very much similar to Celtic in terms of the traditions and values it has as a club, you can't deny that. It's a fantastic club but, for me, my only focus is on Celtic and doing the very best I can for them." The north London giants have already begun their search for a suitable replacement for the Frenchman and his successor is likely to be named before the close of the season. Patrick Vieira was the other early candidate to be associated with the role but the Gunners favourite has revealed his desire to remain in the MLS for a few more years.